I’m going to share with you some lessons I’ve learned over the years (just a few!) on how to build great rapport with people which leads to more business and enjoy yourself whilst you do it…..
My Associates are unique and trusted professionals with whom I have worked for many years. Each brings different skills and experience to the business and to our clients. Collectively we have accumulated decades of experience as consultants, trainers and facilitators working with public and private organisations across a broad range of industry and service sectors. A professional colleague of over 30 years’ standing, Josie’s knowledge of her subject working at a national level is a truly valued resource. Josie Hastings Associates specialises in offering training in the challenging areas of employment including: Equality and Diversity at work, Managing Harassment and Bullying in the Workplace, Essential HR and Employment Law for managers, Effective Recruitment and Selection of Staff and Managing Poor Performers. Josie and her team offer practical interactive training solutions which engage managers and staff. Supported by a comprehensive understanding of employment law, they aim to assist participants in dealing with challenging situations at work: promptly, fairly and legally. They offer a range of interventions: trainer-led workshops; workshops supported by professional actors as role-players, 1:1 coaching with actors and e-learning. Their training is always participative, informative and engaging. Suzanne is an experienced coach and facilitator, working with organisations in both the public and private sectors to identify and develop the skills of their people. Much of her work has focused on designing and leading coaching and teambuilding interventions, for which she has won several national awards. As a qualified Coach, she uses NLP, Gestalt and Personality Measures to help her clients understand themselves and others better. She is known for her pragmatic and flexible approach and is often described by others as both ‘challenging’ and ‘inspiring’. Suzanne is the co-creator and deliverer of the innovative Tall Poppies Programme for women. Lesley is my PA and right-hand woman helping me by writing copy for my website, editing my newsletters, and producing audio MP3 materials for my online courses. With her support I stay focused and on target. She specialises in professional and practical support to solo-preneurs and small-businesses. She guarantees that with her help you will be personally more effective and your business more productive. As proof of the value of her service she offers all clients 1 FREE hour of her time to ‘test drive‘ her service. Thanks to Lesley’s diverse background in: law, management, training, IT and running her own businesses for over 30 years, she is able to provide a broad range of complementary services including: e-coaching for business & personal effectiveness, website updating, e-news editing, audio MP3 recording and 1-to-1 training on various IT software and business communication skills. She mainly works virtually and keeps in contact with her clients via email, Skype, Go To Meeting or phone. Kelly Mansell has over 17 years HR experience. She established the ABC Human Resource Consultancy nearly seven years ago after a nationwide HR Management role and now runs it alongside Graeme Brookes. CIPD qualified, Kelly is a Chartered Fellow of the Institute. ABC Human Resource Consultancy specialises in a full range of bespoke HR, OD and training solutions for organisations; from writing policies & procedures to providing hands on HR expert input at employee/management meetings or assisting the organisation with strategic development. Current clients include a range from manufacturing to charities including the education and sectors, with employee numbers ranging from two to over a thousand. Kelly Mansell offers the full support of a HR Manager/Director at a cost and level that is relevant to any organisation; making employing people as easy as ABC! 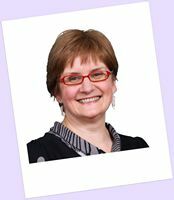 Heather is a coach and trainer specialising in the art of communication. Nothing gets her more excited than people. Finding out what makes them tick and what motivates them to be the best they possibly can is the reason she gets out of bed in the morning. She set up Salt Solutions in 2009 after more than 20 years in the corporate world where she worked in a wide range of business sectors, largely at a senior level. Most successes throughout her career came as a result of asking the right questions, paying attention to the answers and recognising the real benefits of what she had to offer. She now uses these skills to help businesses focus on their true strengths and abilities and use this new found knowledge to grow and maximise their market share. And numerous small businesses in the Shropshire/Mid Wales and Cheshire area.